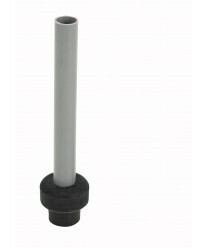 Take some of the worry out of busy bartending with the Winco OP-7 Overflow Pipe, 7''. These plastic overflow pipes are designed for use with standard bar sinks, and minimize the risk of flooding and overflow-related damage. Installing overflow pipes lets you focus more on your customers and less on your equipment.